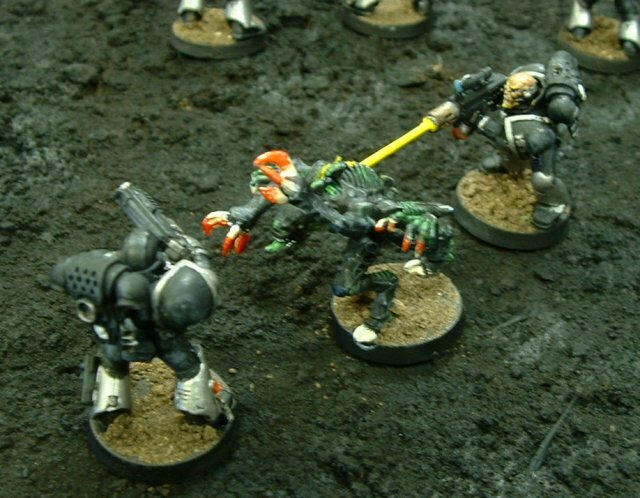 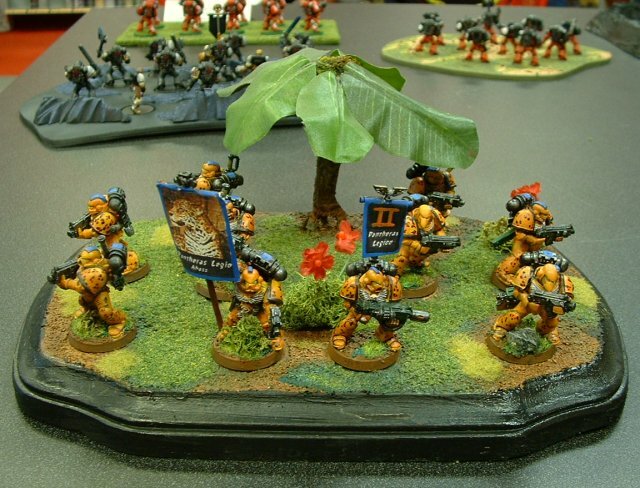 On Saturday, August 17th, at Games Workshop stores around the country, the Emperor's Finest took to the field. 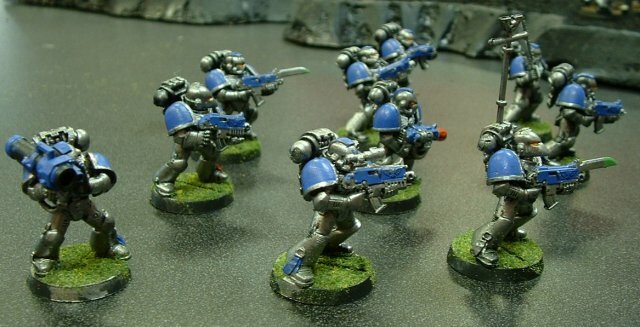 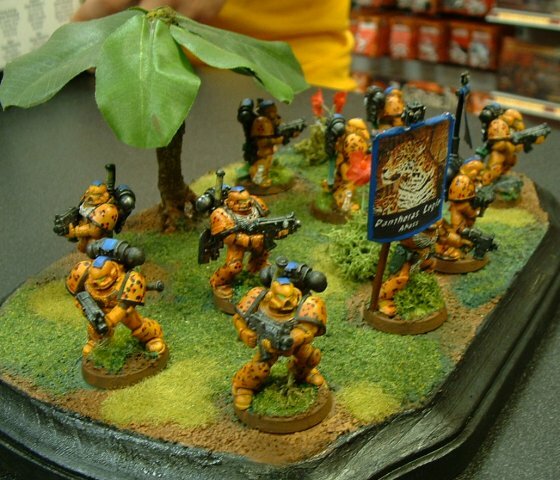 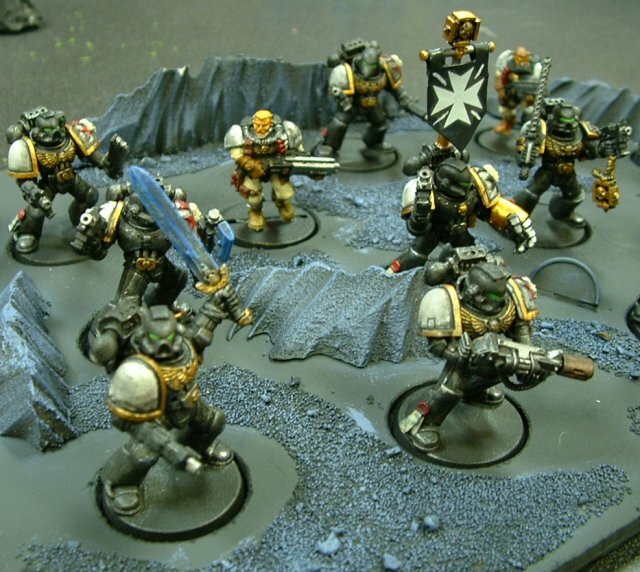 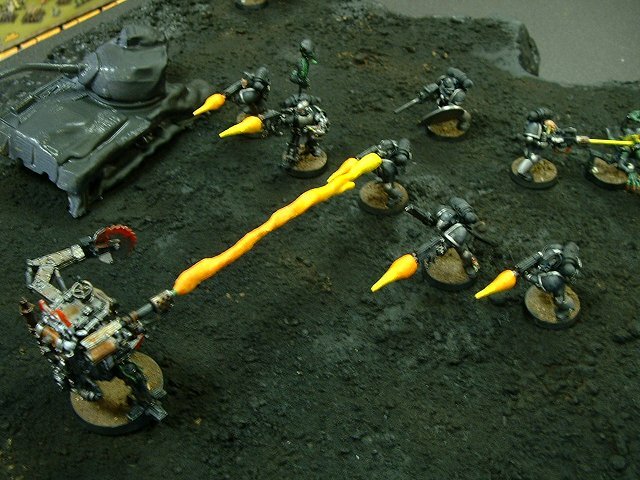 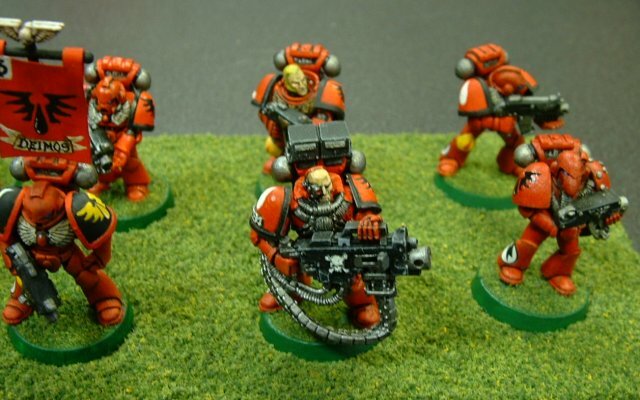 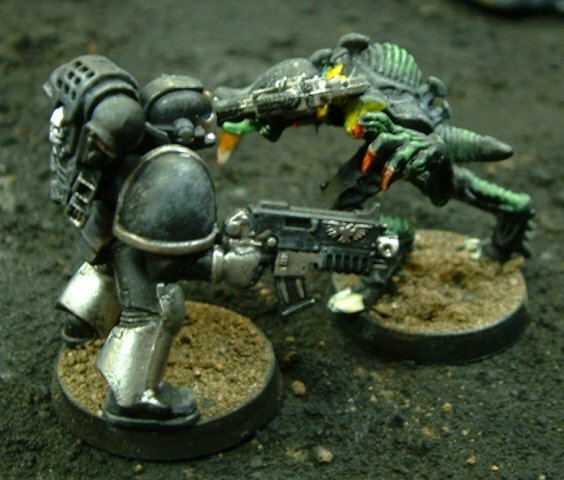 Games Workshop held a grand competition: each player should bring his best-looking tactical squad and display it forth for the keen eye of the painting judges. 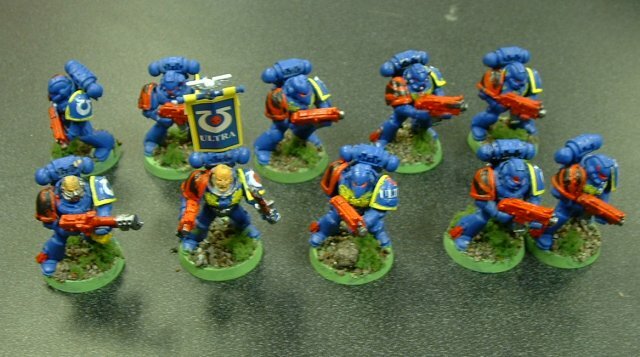 Somebody set up us the "Tactical Squads" page on 20 August 2002.